The American Performer Stratocaster HSS includes the Yosemite™ single-coil pickups—designed for rich, expressive tones—and a DoubleTap humbucking bridge pickup. This unique, patent-applied-for design combines humbucking and single-coil voices, while eliminating volume loss in single-coil mode. The single coils feature flat-staggered pole pieces to increase output and shellac potting that lets the single-coils breathe while controlling feedback. Combined, Yosemite and DoubleTap pickups produce dynamic sounds ideal for any musical situation. 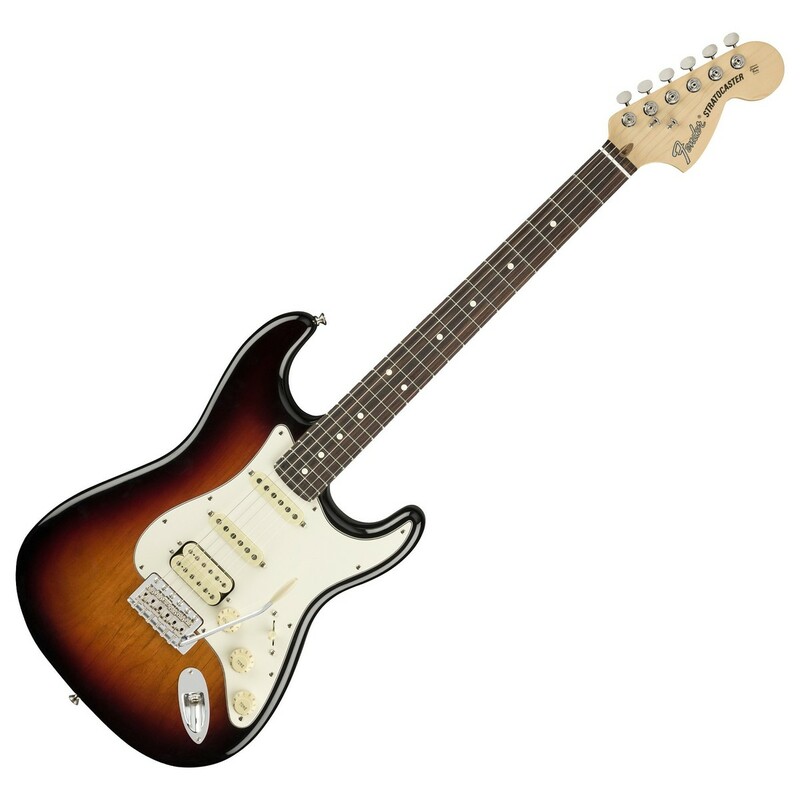 The American Performer Stratocaster HSS also features Greasebucket™ tone circuitry, along with a push-pull tone control to activate the DoubleTap humbucking pickup. The “Modern C”-shaped neck sports a 9.5”-radius fingerboard that’s comfortable for almost any playing style, along with 22 jumbo frets for effortless and accurate bending.